BETHLEHEM, PA—Regarded as one of the most influential musicians and writers of our time, David Bowie was an artist who inspired and entertained fans for more than four decades. 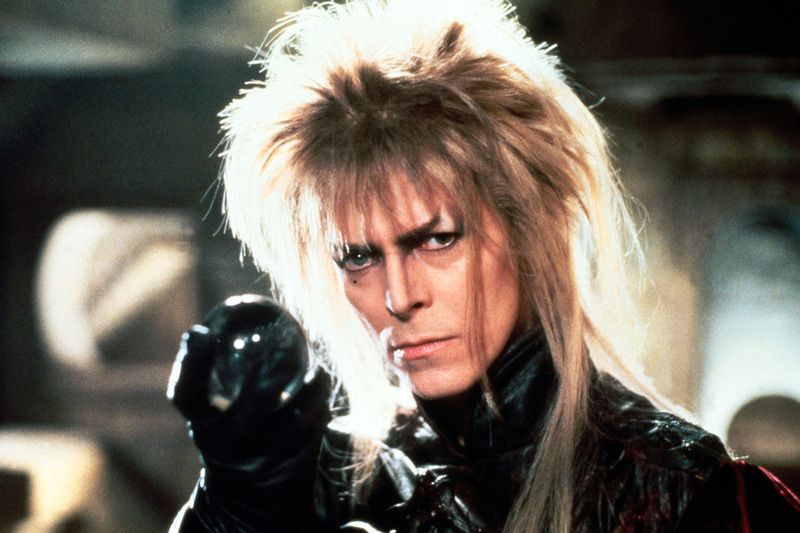 On Sat., Jan. 16, 9:30 p.m., at the ArtsQuest Center’s Frank Banko Alehouse Cinemas, ArtsQuest will pay tribute to the late musician, artist and actor with a benefit dance party and screening of the movie “Labyrinth,” featuring Bowie as “Jareth” the goblin king. Tickets for the event, which is a benefit for the Lehigh Valley Chapter of the American Cancer Society, are $10 and on sale now at www.steelstacks.org and 610-332-3378. Following Bowie’s recent passing, ArtsQuest is encouraging fans to celebrate his life and legacy with an event that honors the musician, artist and actor, while helping to raise funds to fight cancer locally. The benefit will kick off with a dance party led by Bethlehem’s DJ Tanner, who will be spinning Bowie classics, followed by a special 10:15 p.m. screening of Labyrinth. A portion of proceeds from the event will be donated to the Lehigh Valley Chapter of the American Cancer Society. The Frank Banko Alehouse Cinemas are located at the ArtsQuest Center at SteelStacks, 101 Founders Way, Bethlehem, PA. For more information on this event, visit www.steelstacks.org or follow us atwww.facebook.com/SteelStacks.